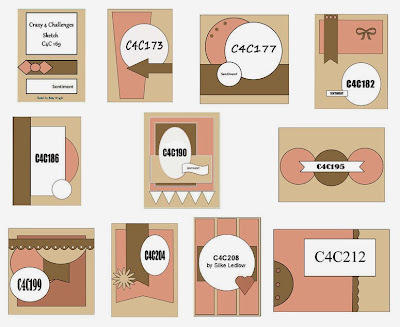 Today at SweetStamps, we have a FUN challenge for you!! We all have them in one way or another, so now it's time to pull them out and use them. I love...and I mean LOVE my glitter glue. It's not messy and comes in tons of beautiful colors. I will admit though, that I have falling for the Glitter Glitz as well. It's super fine glitter, that also comes in a number of GORGEOUS colors. I colored these cute gingerbreads and then applied lots of glitter glue on the trims, buttons and bows!! Told you this was a fun challenge and you have to go check out what the rest of the DT cooked up as well!! Absolutely adorable! I love glitter glue too but just don't remember use it that often....Thanks for the reminder!! 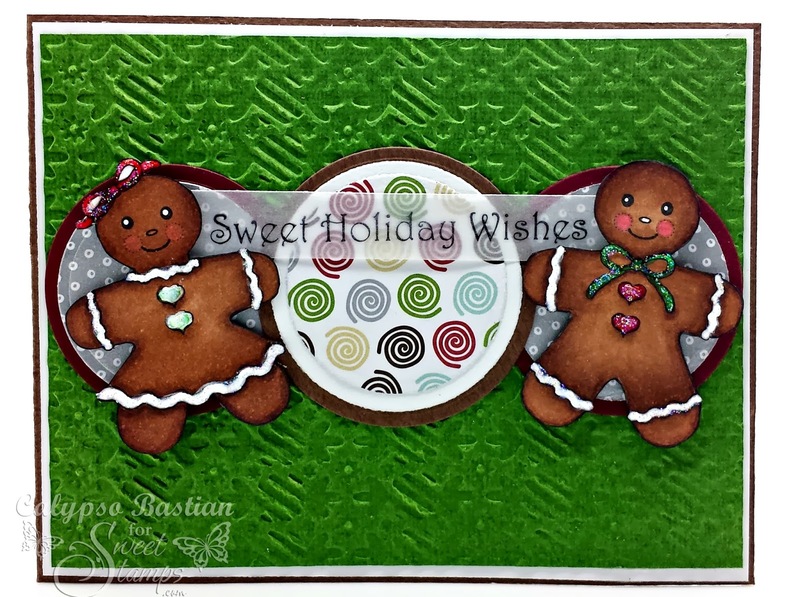 Love this sweet card- the layout is fab- love the glittery accents on the gingerbread! Love the texture of the BG as a backdrop for the gingerbread couple! Super "sweet". Love all the glittery sparkle and your gorgeous shiny background for the cute couple. Thanks for joining us over at the Creative Challenge for Sparkle N Sprinkle. Oh this is so precious, Calypso! I can see why you love your glitter pens, those sparkles are great! Adorable gingerbread card! Your gingerbread people are adorable! So glad you joined us for the Sparkle N Sprinkle Creative Challenge this month. Absolutely darling! I see how you use your beloved glitter glues...very effective! Those little details are dazzling. What a Sweet design, love the sparkle on the Gingerbread Boy and Girl.